Ladies, are you ready to kick it into high gear? 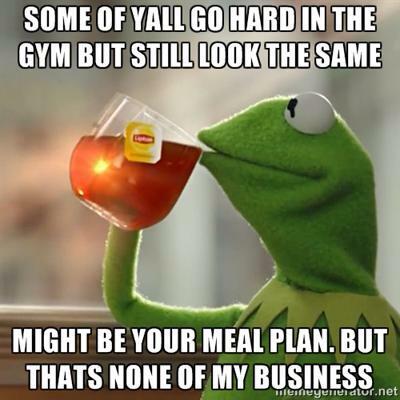 Are you a motivated women who needs to lose 5-20 lbs and wants a specific meal plan to follow? Not only can you be fit and strong this spring – you can be in the BEST shape of your life. I promise. I am starting a BRAND NEW online boot camp program with my clients next Monday – Bikini Boot Camp! You will be following my personal workouts and have the option for a detailed meal plan. No weigh-ins, no restrictive diets, no gimmicks. Just women working together in a supportive community to be STRONG, FIT, and HEALTHY for our families and for ourselves. PS: Be sure to read the testimonial from a client in my last boot camp round at the end of this post. Nutrition is CONFUSING. How much should you eat? When? How? Why? I am so pumped to be offering a very specific MEAL PLAN option with details about exactly what and how much to eat as part of this boot camp. No starvation, no nasty foods, and even some of your favorite goodies are permitted. Let’s get you healthy the right way! For this very exclusive boot camp, I am looking to work with 10 busy, motivated, fit women, who have 5-20 pounds to lose and want to lean out their midsection. Women who are willing to prepare whole, clean, nutrient dense foods, and workout 5 days per week, but simply need some accountability and a specific workout and MEAL PLAN to follow. 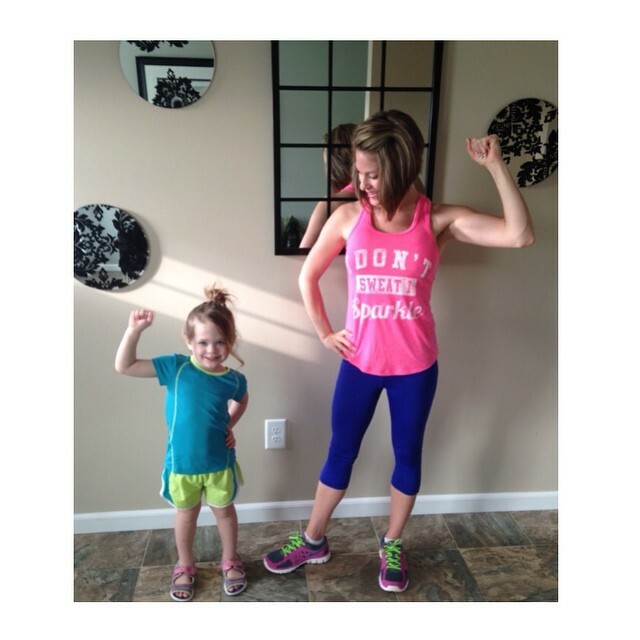 It IS possible to be in the best shape of your life AFTER having kiddos. And not only that – it’s possible to have great abs! This online program is 45 days – includes my personal boot camp workout plans, a specific meal plan with containers to manage portion sizes, recipes, accountability, motivation, and access to me. Fees will apply because after 10+ years in the fitness industry, I know we are all more successful with follow-through if we put our money where our mouth is. However. I am 100% confident that I can find a plan that fits your budget. The Bikini Boot Camp will start on March 30. The focus, quality, intensity, and commitment you’d expect from me, a trainer with 9+ years of success! Six week program starting on March 30. This program has two options. First, you may purchase my NEW tried-and-true personal online Bikini Boot Camp program (results guaranteed) with grocery list based on the Paleo lifestyle. Second, for the FIRST time ever, I am also offering a specific meal plan option per my new partnership with the makes of P90X and Insanity. Purchase the BeachBody 21 Day Fix Extreme Program and meal replacements to try through the program, and I will give you my Bikini Boot Camp program for FREE (no additional charge). If you choose to simply do my Bikini Boot Camp program (comes with grocery list based on the Paleo lifestyle) it will be only $20 per week, payable via cash, check, or PayPal. If you participated in Amanda’s Boot Camp program earlier, you will receive a $20 discount. The BeachBody 21 Day Fix Extreme Program and meal replacements (perfect for breakfast or lunch) is $160 (plus tax and shipping). Please register to join below. I am only accepting the first 10 ladies who register. After you register, I will send you an invoice via PayPal. You may pay via PayPal, check, or cash. I will also send you the health forms, waiver and liability forms. Payment (in full) and all forms are due prior to the start of Bikini Boot Camp. Please let me know if you have any questions at all! “I feel stronger – physically and emotionally. The challenge was a success and would definitely recommend to a friend! My will power with food is much higher and I am pleased at the progress I’ve made and know the battle with food will be continuous and I will have to be intentional. I am reminded of the importance of caring for my health and wellness as a foundation to keep balance in my life and to enable me to be the best version of myself. That there will be seasons of my life when I can devote lots of time towards athletic goals, but that there will also be seasons when there things take priority. When those seasons come, I can still maintain fitness. I am reminded that 20 minutes of something, is more than a whole lot of nothing. I have realized that it is the commitment to yourself that is most important, valuing your word. At the end of the day, when you don’t want to workout, reminding yourself that “I said I was going to do this today” and then honoring that promise – brings self worth, and value. I am very glad I decided to do this challenge. As a former cross country and track athlete, for high school and college I feel pretty competent in the exercise arena. In college, I worked with strength and conditioning coaches twice a week for four years. I have completed 2 whole30 programs on my own. Although I had the knowledge and experience; sometimes you just need a little help. Sometimes you need to relearn things that you’ve forgotten. Sometimes you need to surround yourself with people who are striving for the same goals. And Sometimes you just need a little INSPIRATION. I have truly been inspired by Amanda Tress for her passion, enthusiasm and encouragement – but mostly it is her hard work ethic that is so evident not only in the workouts on the exercise videos, but also in her professionalism, online posts, emails, phone conversations, and new business endeavors. It challenges me to do more, be better, and give it (the workouts and this life) my best effort. INSPIRE Instagram Academy: Preorders Now Accepted!